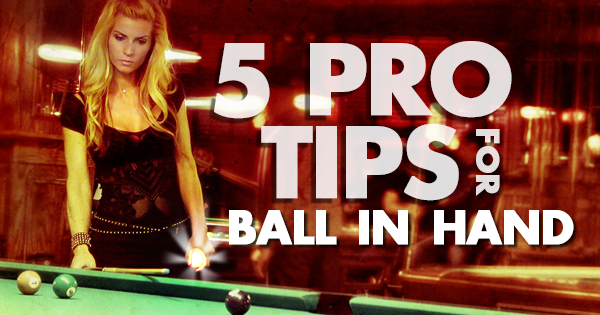 I often say that I can tell how well a person plays pool by watching them take ball in hand. Even though ball in hand should be simple, I regularly see people hook themselves, scratch, miss position, or even miss the ball. I also see situations where ball in hand offers an opportunity to simplify a runout, but I rarely see players recognize that opportunity. Here are a few scenarios that will help you improve your choices when you have ball in hand. 1. Use natural angles to set up your next shot. Use natural angles. I can't tell you how many times I see people set up ball in hand position that requires extreme spin or a very difficult path to the ball. 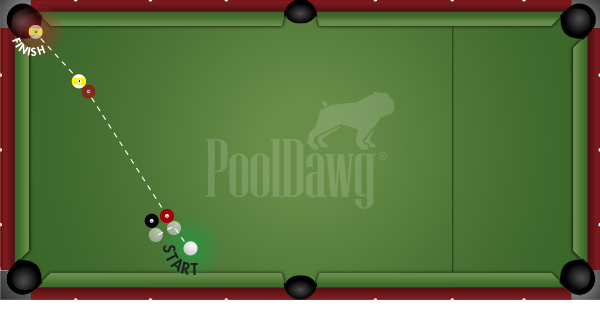 Natural angles are the ones where all you have to do to get position is make the ball and let the cue ball travel on its natural path. 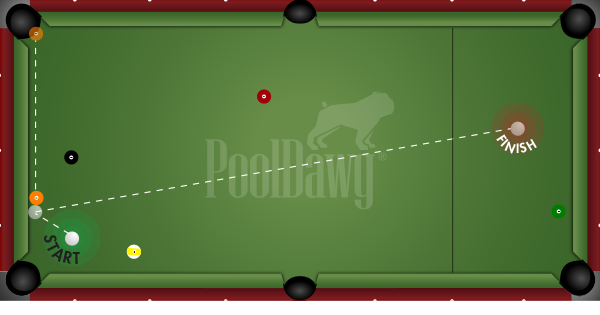 When the object ball is close to the pocket, putting the cue ball against the rail can give you a very predictable line to the next ball. 2. Look for BONUS benefits to help you run out. Rearrange the furniture. Whenever you have ball in hand, take a good look at the whole layout. When a ball is on the rail, sometimes you have a free chance to simplify your layout without taking much risk. This is one of the common scenarios that can be changed with ball in hand. By charming the six into the eight with a stop shot you accomplish two things. The eight becomes much easier to make and position on the seven is perfect. 3. Do a slightly harder shot when it yields better position. Use the short side. Sometimes position to the next ball is much more difficult from the long side of the ball. If you're having trouble finding your way to the next ball, don't forget to check your short side options. 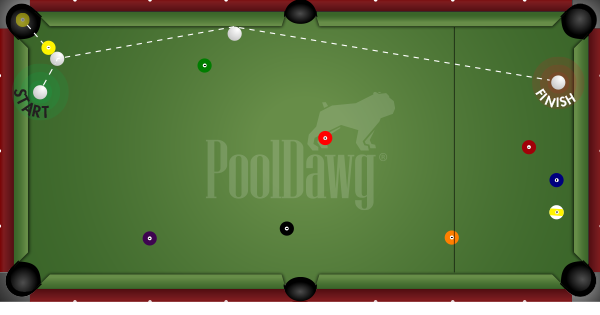 In this case, shooting the five ball into the farther pocket allows you to avoid the traffic, and follow easily to the six. 4. Consider clusters and look for a "lockup" safety. Play a safety to create a runout. There are some situations where you can start running out, but a cluster creates a dead end. When there is no ball around that easily breaks the cluster while you're running out, consider playing a safe that clears up the problem. In this case, a simple stop shot on the one creates a lockup safety, while the one ball opens up the five and six. 5. Go for the win! Find a free chance to win. This exact situation came up for me when I was on the hill in a critical match. The seven didn't have a pocket, but it did barely pass the eight for the nine ball combo. I lined up the combo on the nine so that, even if I missed the combo, the cue ball would be frozen behind the eight. I made the combo, and won the set without risking a sellout. The next time you get ball in hand, don't rush to shoot. Take a look around and sometimes you'll find a great opportunity to get something more than a chance to make the next ball!